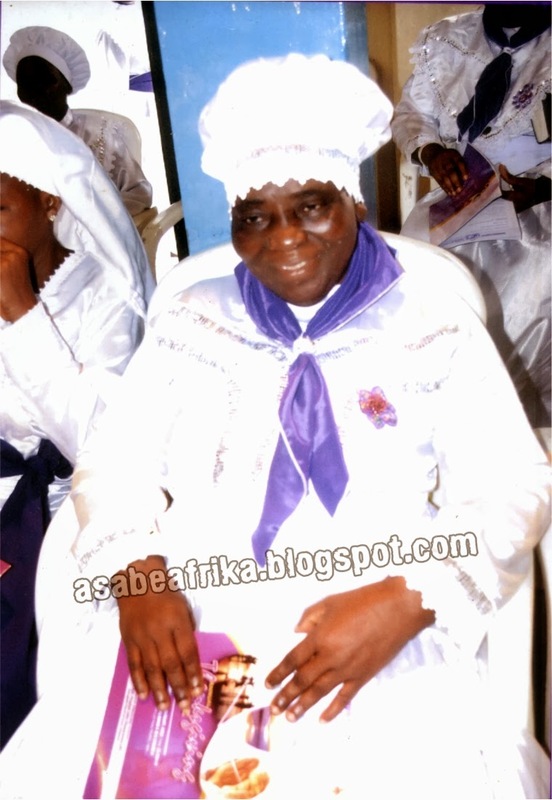 The regional Director (Africa) for London based Ben Television Lanre Ijaola has opened up to Africa’s number one celebrity encounter blog asabeafrika on final plans towards the funeral of his late mother Apostolic Mother Esther Foluke Ijaola who died on Tuesday January 28th 2014 at age 71. The Ogun state born media practitioner who is famously addressed as Ijakoko in the social circle was the first publicist for Fuji Music Czar, King Wasiu Ayinde Marshal (K1 De Ultimate) before he left for the United Kingdom in the early 90s. The Veteran broadcaster who flew his mother to Oklamohoma State university, Massachuset, USA in November 2013 for medical correction was full of good words for the late woman of God who together with her late husband, Most Reverend Apostle (Dr.) Jacob Ayinla Ijaola founded the very popular Salem Church of Christ (C&S) at Obanikoro on Ikorodu Road in 1959. Before she passed away, Apostolic Mother Esther Foluke Ijaola was the Woman Leader of C&S Aladura, the Lord is Good Church, Ogba; Lagos. 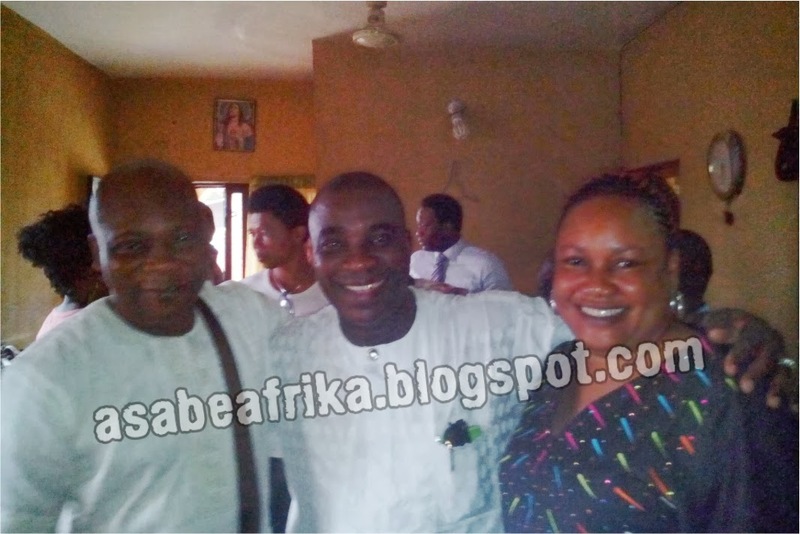 Lanre who was consoled by his former boss and friend of many years, King Wasiu Ayinde Marshal in a two days visit to the family house somewhere in Fagba area of Lagos, South West Nigeria equally spoke on the massive support and goodwill given to him by the Fuji Music lord and promises to give his mother a befitting funeral come April 25th 2014. Enjoy the encounter. Ijaola opened up to asabeafrika by first talking about his late mum, describing her as a woman of virtue. Hear him “If we have to talk of my mum, it will come with a lot of sober reflection. Because at this point in time of my life that I am just losing a very dear mum, a sweet mother for that mater, I am one of her favorites, we are family of six children (Iyabo, Lanre, Tope, Morayo, Clara, and Aina). Because this is a woman of virtue, a very good woman who stood with her husband, when I see a woman today I want to see the example of my mother who will knell down hours before my father wakes up and will make sure that my father’s breakfast is ready by 8’o’Clock. My father’s well being was her genuine interest. She is all in all that I can see; she has sold her clothe just for me to go to school. So, for a woman to go to the market place and sell her clothe because I was in the university and we were going through our challenging times and this woman had to sell her clothes for me to buy my books and pay my fees. I give it to her, unfortunately we lost her, God knows best but we tried all our best. We flew her to the United States of America, my younger sister (Mrs. Aina Osifeso) spent over $58 thousand US Dollars, but unfortunately that couldn’t revive a life and we had to bring her back (On Thursday 23rd January) and we lost her. The pain was too much since she came back; she was in deep pain for five days and eventually we lost her. To God be the glory, she is gone but she has six children and twelve grand children. That is the record”. Lanre who is the scion of the Ijaola family told asabeafrika reasons where he wouldn’t like to talk about his mother’s illness even when sources alleged she died of an ailment related to old age; “medically, we are not allowed to say much about her illness since it is an old age thing. It is an illness that came with old age. For what she said, it didn’t really occur to us when she was telling us on the bed in the US that we must all live in unity and ensure that the name Ijaola does not go into extinct. She specifically spoke about unity among us and the need to let the name continue to excel. That was her sacred wish and we intend to uphold it. We flew her first class on United Airlines into Massachusetts and she was treated at Oklahoma State Hospital where Doctors did their very best to put her in a very good condition but still yet, she has to go to the bosom of her maker. We flew her the same way back to Nigeria but like I said to you earlier, the pain was too much and she departed”. The 47 years old Television guru went on to describe the kind of personality his mother was in her life time “Yeah, like I said earlier on, the book of proverbs says “who will see a good woman for her worth is more than a diamond”. That is how God described a good woman; my mother was a woman who stood with her husband right from the beginning when they both started the Salem Church of Christ on Ikorodu Road in 1959. She stood with her husband till death; even when people were castigating her, she still stood by her husband. You can hardly find women of today standing by their husband, irrespective of the good and bad time. You hardly find women of such virtue nowadays. So, my mother brought us up with strict hand, we grew in a Christian family. She, by the grace of God today earned it in the house of God; she is a Special Reverend Apostolic Mother. That is the highest grade of honor you can get in the Aladura sect that I grew up from. And if I want to describe my mum I will not say anything else than say quintessential. When we asked Lanre to tell one hard experience he once had with his late mum, he told us this; “I remember when I was growing up at the age of 26 I was still being spanked, my mum took no nonsense because my father was often busy with activities of the church and his congregation. He was a benevolent shepherd. I remember there was a day I sneaked out of the house, went out and she was waiting for me. And immediately I stepped in, I got the beating of my life. I mean this are the things I so much remember about my mother; you know people know me as Lanre but my other name is Ojukotimi ( I am not disappointed) which has a lot of spiritual meaning because my mother really suffered for the children. She had us all through God’s covenant and God has never stop being good to us. She went through a lot, unfortunately this is not the best time I should have lost her because I still have more to do for her but she is gone; I cant do anything else. When she died, I called her but she couldn’t wake up again. I called her at the mortuary but she couldn’t wake up again and I said to myself ‘that is it’. She is gone. I started crying because she is gone. She is gone to the bosom of the Lord”. 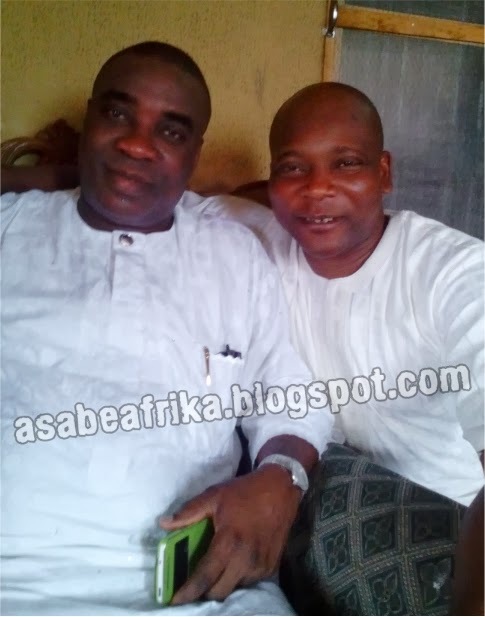 Lanre Ijaola who had Fuji Music star K1 De Ultimate present during the encounter with asabeafrika defined the Fuji Music Czar who is giving out three of his daughters this weekend in Ijebu Ode, Ogun State, South West Nigeria like this “K1 De Ultimate has always been a very good brother; we have been together when we had only 50 naira and we didn’t have any hope anywhere in the world. We had 50 naira, we bought eko, we bought Moi-moi and we bought a bottle of Stout; we shared it together; I and K1 were together, we sleep together, we wake up together, he is a guy I love, he is a guy I have a passion for. My father actually wanted to disown me because of K1 because I was his publicist and I was with him and we did a lot of things together; we went through a lot but you know twenty children can not be together in one place for twenty years. But at some point of my life I had to move on with my career because what I practiced in the university I had to utilize it. 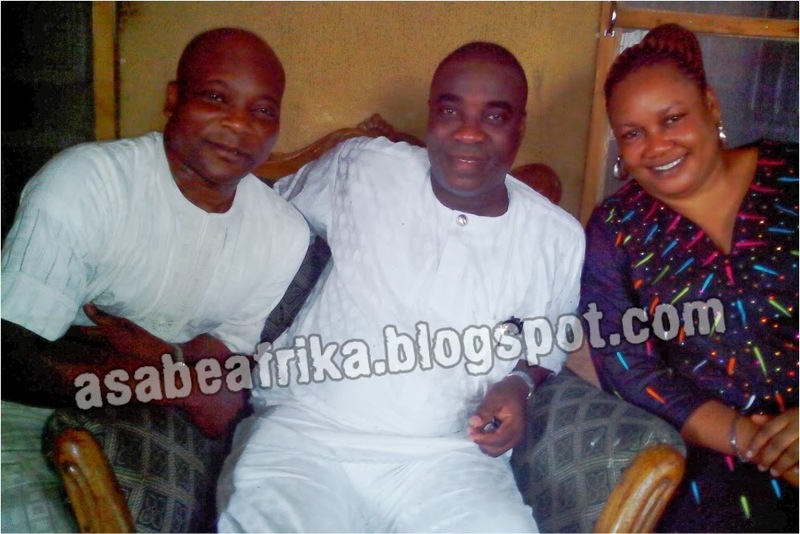 But K1 is my brother, we have a fraternity and he loves me passionately and you can see that in him when he came here; I told him my mum died and he told me ‘Lanre I will be there tomorrow’ and he came and spent hours with my family; I mean that is the highest degree of respect that you can give to anybody at this point in time”. at the Fagba, Lagos family house. The level of crowd trooping into his Fagba, Lagos family house shocked this blog and we asked why but Lanre answered likes this “I will not say this is what it says about Lanre Ijaola, I will let you wait and observe the burial. Then you will see the kind of people that will be at the funeral and that will explain better to you who Lanre Ijaola is. When you see the caliber of people that will join me in celebrating the life of my mother; people that will be on the seat on the day of the party, then you will know who Lanre Ijaola is. I will not say anything but just wait until the 25th of April”. On how the Friday April 25 event will be celebrated and where, Lanre Ijaola broke the news first to asabeafrika “I am going to give my mother the best of the funeral I can give; we are not going to be very lavish but we will be moderate because she was a very faithful Christian in her life time. We are going to do it in the normal Christian way.  The venue is the Grandeur Event Center, Oregun Lagos. We are going to have a live broadcast; everybody living in Europe will watch the funeral telecast on Ben TV via Sky Network. If you are living in the United State, if you are in Europe, if you are in the Middle East, you are watching the burial live both at my own town Ijoko and the venue of the burial, Oregun, you are going to be watching the funeral live on stream. That is guaranteed; and of course it is going to be a party where you can eat as much as you like and drink as much as you like. We are going to celebrate her life, K-1 De Ultimate is going to be on the band stand; definitely it is going to be a big party”. The late Apostolic Mother Easter Foluke Ijaola was born on June 12th 1942 to the famous Majekodunmi family of Abeokuta, Ogun state, South West Nigeria. 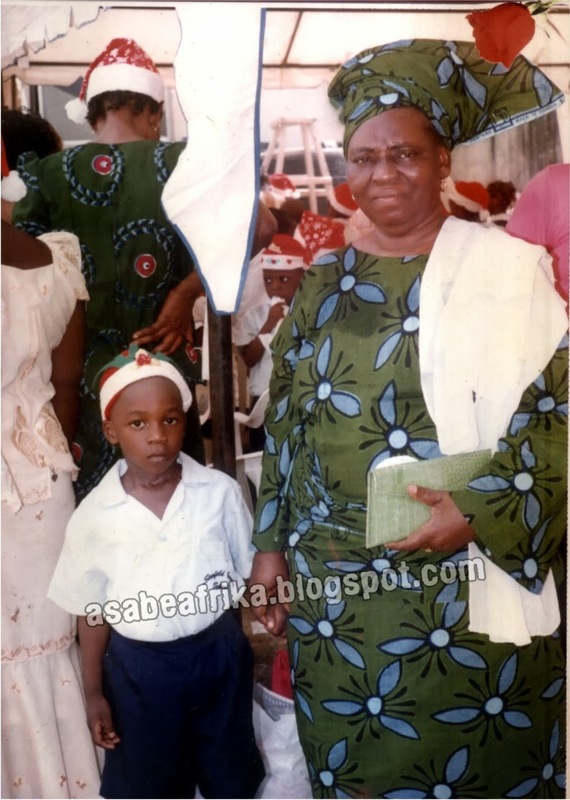 She was the third child of her mother; she had her early education in Abeokuta before going into marriage in the late 50s. Her Husband the late Most Reverend Apostle (Dr.) Jacob Ayinla Ijaola with her founded the famous Salem Church of Christ, Aladura by Obanikoro bus stop, on Ikorodu Road, Lagos South West Nigeria in 1959. Together they had six lovely children, two men and four ladies among which is Princess Iyabode Sanusi, the Yeye Oge of Ijoko land, Prince Lanre Ijaola, a media executive, Prince Tope Ijaola, a business man Princess Morayo Ijaola a media practitioner, Princess Clara Ijaola and the highly respected Mrs. Aina Osifeso (Nee Ijaola) an American based intellectual. Mama who lost her husband in 2001 later left the Salem church of Christ over some private issues bothering on her integrity as the first wife of the late founder of the church and joined C&S Aladura the Lord is good church where she was made the leader of the good women. Until she passed away at age 71, Mama was a full time house wife and as well a Queen of Ijoko Lemode kingdom in Ogun state where her husband reigned as the king shortly before his death in 2001. Until her death she was known for her passion for little children and counseling of house wives. She is alleged to have died of an old age related disease which her children especially Lanre Ijaola and Aina Osifeso battled to save her from in America. She is survived by 6 children and 14 grandchildren. 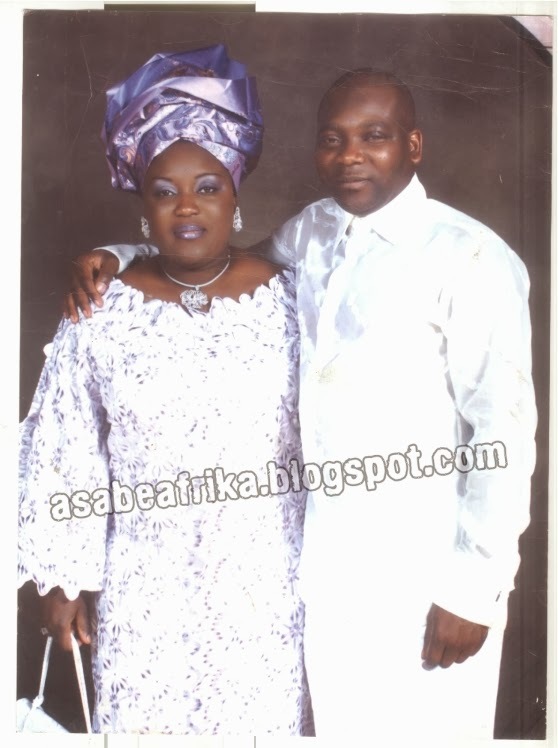 …..And Big boys set to support Lanre Ijaola’s Mum’s funeral. Bisi Olatilo, Lanre Ijaola, Alistair Soyode and Tayo Adejumo of Ben TV, London. In a most supportive gesture that can be expected of any one to his loved one conglomerate of big boys in Nigeria and the United Kingdom have decided to support Lanre Ijaola aka Ijakoko for the funeral rites of his mother, Senior Reverend Apostolic Mother Esther Foluke Ijaola come Friday April 25 in Lagos. In a recent Saturday evening meeting at the family house at Alarafa Oje, Alamutu Estate in Fagba area of Lagos, South West Nigeria, some big boys who include Music Czar K1 De Ultimate, Global Excellence Magazine publisher, Mayor Akinpelu, Romance Journalist Kayode Ajala and a few others sat and took a decision to ensure that the final rites of the mother of one of them will be a successful undertaking in history. The chairman of the committee is K1 De Ultimate who vouched to play the role of a father to a man he considers his best publicist in history. 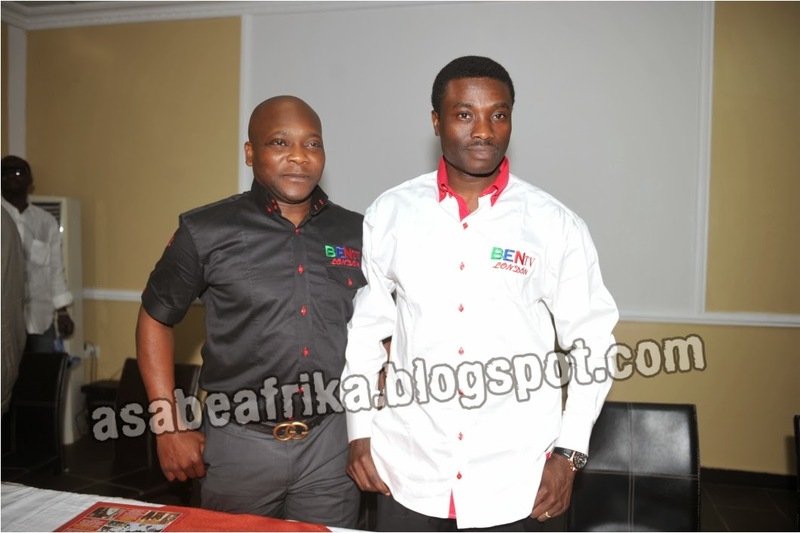 Leading the pack of goodwill brokers are the founder of Ben Television and Lanre’s boss, Alistair Soyode who has donated unlimited air time for the streaming of the funeral live on Ben Televison at a very reduced rate. Others are London big boys Dele Ayinla aka Coolu Temper, Lekan Osifeso, Laide Fowosere, Gbola Oba, Kayode Babalola, Murphy Ajala, Bobby Adeyemo, Fola Rahman and a host of other very important personalities from the UK black community. Another big boy on the team is London big boy Bimbo Akingbade aka BIMS of Linkup properties, the biggest property company in the United Kingdom. On the Nigerian side, Lagos Commissioner for Water Front, Prince Segun Oniru is said to be pulling the string for the successful outing of the funeral of the Ijaola Matriarch. In Ibadan, the likes of big boy Alao Lateef and Hadjy Bashy with the compliment of Honorable Fijabi are pulling the weight to support Lanre Ijaola who is very influential among his friends in the South West. In Abuja, Senator Grace Folashade Bent is pulling the string; she paid her condolence to the Ben TV big boy recently via her tweeter handle. 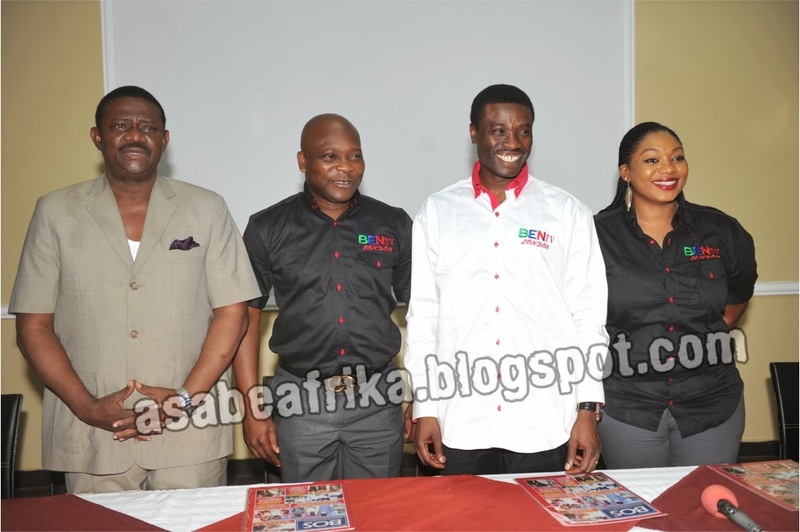 Already, the funeral committee chaired by Fuji Music Czar, K1 De Ultimate has been inaugurated to see to the successful planning of the Friday April 25th event. The late Senior Reverend Apostolic Mother Ester Foluke Ijaola who hails from the prominent Majekodunmi family of Abeokuta, Ogun State in South West Nigeria is survived by 6 children and 14 grand children. The venue of the funeral is at the Grandeur Event center beside the Christ Embassy Church, Oregun Lagos South West Nigeria. Entry is strictly by Access Card according to reliable family source. Hmmmm! I know Dr. Ijakoko very much. He is one of us here in Abuja. He Once Patronized our Orange Room here in Nanet Suites Abuja. He is such a jovial, interesting personality with a lot of passion for our Abuja Chicken parts. He loves chicken sooooo much. Ride on and have a good time out at Mama's funeral. Dr. Iririola Dabira. I Like your picture with Dr. Orji Uzor Kalu. Can you link me to the man? Someone told me he is single. Lola Montez. Who told you that President Goodluck Jonathan is desperate? The man is not seeking for a second term in office o. He only went to bade those kings good bye. He is going by 2015. Even if his conscience deceives him to stay on, the good people of Northern Nigeria will take him out with their votes. Don't bother yourself Mr. Blogger. Leke Alawiye. Haaaaaaaaa! Lanre Ijakoko, he is presently dating one of my sisters somewhere in Ilupeju area. I will reveal her identity tomorow. trust me to return here first thing tomorow woith their recent pics at a party. otio, Ile Ola mo tan. Anonymous.